Raspberries in winter are a mere luxury and a welcome diet change for everyone. 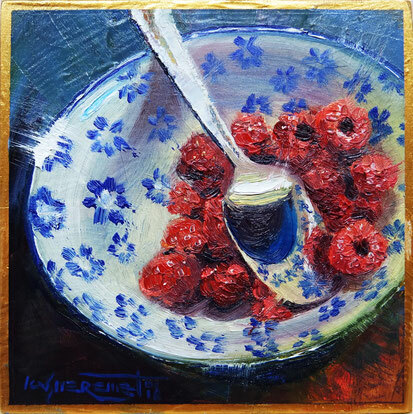 This miniature oil painting shows a bawl with the pinky red raspberries and a spoon mirroring the blue pattern from the plate's edges. The brush strokes are loosened and convey a more spontaneous impression.